Belarus was one of the hottest topics at the United States-Central Europe Strategy Forum in Prague on 26-27 October 2011. Policy makers, government officials and analysts tried to resolve the Belarusian puzzle at a session called "Belarus at the Brink: Planning for Life After Lukashenka". The Forum speakers included Steven Korn, the President and CEO of the Radio Free Europe/Radio Liberty, Edward Lucas, the international editor of the Economist, the Minister of Defense of the Czech Republic and numerous experts from both sides of the Atlantic. The level of interest in Belarus at this event organized by the Washington-based Center for European Policy Analysis was remarkable. Belarus was the only country to which the organizers devoted a separate panel. Although Belarus is usually regarded as an Eastern European country, one of the Forum participants quoted Milan Kundera who viewed Central Europe as encompassing all small nations between Germany and Russia, suggesting that Belarus squarely fits into the definition of Central Europe. However, not everybody at the Forum was happy about pigeonholing European nations such as Belarus according to their geographical location. At the first section, "Troubled Southern and Eastern Peripheries: What Can Central Europe Contribute? ", it was noted that regardless of the geographic location, each country should be approached individually. Moreover, the participants agreed that countries like Belarus are not in Europe's eastern neighborhood, but have always been an integral part of Europe. During the discussion one of the participants noted that twenty five years ago the Iron Curtain was erected by Moscow. Now Brussels is doing almost exactly the same thing. Moscow allows and encourages Belarusians to study for free in Russia, requiring no visas or work permits. In contrast, Brussels imposed expensive visas for Belarusians and made it virtually impossible for them to legally work in the European Union. Belarusians students have to pay several times more than other European students to study at the universities in many European countries. Instead of introducing and integrating the future Belarusian elites into the European space, many in the West waste their time simply waiting for a revolution in Belarus. The section on Belarus was called “Belarus on the Brink: Planning for Life After Lukashenka". However, most of the participants harbored no hopes for Belarus following the Arab Spring scenario. The speakers underlined the fact that Belarusians prefer economic well-being to democratic freedoms and want reforms rather than revolutions. Therefore, they argued that a long-term strategy is needed for Belarus, which should involve more engagement and support for its civil society, beyond the political opposition. The Belarus panel speakers agreed that the international community should focus more on the transformation of Belarusian society and not on just changing its political leadership. According to some participants, the most likely scenario of regime change in Belarus is a coup d'état or the physical death of Lukashenka rather than a popular revolt. There was a general agreement among speakers that no matter how and when political changes took place in Belarus, it is unlikely that the current political opposition would come to power in Belarus. As in other sultanist regimes, the regime insiders are most likely to take over the country. This is why it is important to focus on a steady evolution towards a more liberal and pro-European society rather than hope for a quick revolution in Belarus. According to the only speaker from Belarus on the panel, Belarusian authorities know how to deal with the Russian elites and extract rents from them. On the other hand, they have no skills or proper channels of communications with the West. Some participants questioned the effectiveness of economic sanctions and visa blacklists and thought that it was necessary to talk to Lukashenka directly, rather than to push Belarus towards Russia. Others disagreed saying that the visa ban was one of the few instruments which could be truly effective to punish those involved in human rights violations. It has been suggested than 99% of Belarusians should enjoy as simple visa regime as possible while for those who engage in political repression the door to the West should be closed. There was a general consensus that it was important not to allow the regime in Minsk to use political prisoners as hostages to extort money from the West. It was noted that Brussels does not have an assertive and well-articulated policy towards Belarus. European institutions usually limit themselves to declarations and symbolic gestures and cannot even agree on relaxing the visa regime for Belarusian citizens. Another important area that needs attention is integrating Belarusians into Europe's exchange programs. Making Erasmus and other exchange and training opportunities open to Belarusian nationals would significantly help the Belarusian society to become more open and receptive to democratic values. Participants were somewhat skeptical about the $9 bn promised to Belarus on behalf of Europe by the Polish Prime Minister Tusk in case of political transformations. In reality, although secure and democratic Belarus is in Europe's interest, so far very few countries offered any concrete large-scale programs targeting Belarusians. The Forum participants noted the importance of effective media in Belarusian context where television and radio are tightly controlled by the authorities. They agreed that no matter how good the messages of the opposition or from civil society are, these messages will remain ineffective if they fail to reach the larger population. The participants praised the efforts by the Polish government, the main sponsor of the only independent Belarusian channel Belsat. It is important to monitor the effectiveness of various media projects and pay more attention to the Internet as the main method of delivering information to Belarusians. Belarus has one of the highest degrees of Internet saturation in the region and the importance of Internet will grow further. So far Belarusians use the Internet primarily for entertainment. The important task is to make the Internet products more attractive to the wider spectrum of Belarusians. This could be achieved by better integrating video products and citizen journalism into traditional websites. It has also been noted that the Belsat website needs to be more user-friendly and easier to navigate, which would greatly improve its popularity. The new media age requires revision and evaluation of the current Belarus-focused media projects. That could include channeling funds used for short wave broadcasting to development of video media, social networks and other interactive content. While for some countries short wave broadcasting will remain important, in the countries with more Internet users such as Belarus, short wave will be replaced with more modern technologies. The title of the Belarusian section was "Belarus on the Brink: Planning for Life After Lukashenka". However, most participants agreed that it was too early to predict a radical change in Belarus. It is necessary to have a long-term and well articulated strategy to work with Belarus as a country. Whenever the change comes, it will be up to Belarusians to run Belarus. Instead of focusing on the quick regime change, it is more important to prepare and reform the Belarusian society. The main instruments to achieve these ends are supporting truly effective media, helping civil society organizations and integrating Belarusians into the European context. Rather than just stigmatizing Belarus as the "last dictatorship of Europe" , the EU should accept Belarus as a European nation. 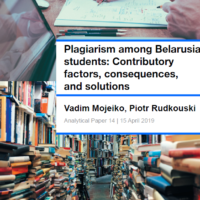 Many participants argued that instead of focusing on the difficulties of cooperating with the Belarusian authorities and making them behave according to the European standards, it is necessary to begin serious engagement with the Belarusian society. Brussels should be more assertive and simplify the visa regime, make it easier for Belarusians to study in Europe, organize training and internships for journalists, lawyers and other professionals and pay a particular attention to the young Belarusians. These measures coupled with the efforts to lift the information blockade in Belarus could be a good foundation for a new and more realistic Western strategy towards Belarus. Chinese FDI in Belarus: Investing in a Backwater? Last week, a delegation led by Sinomach, the largest state-run machinery manufacturer in China, met with Economy Minister Nikolai Snopkov. This follows a visit by Wu Bangguo, head of China's National People’s Congress, to Minsk last month. Beijing will issue a $1 bn soft loan to help Belarus out of its current account crisis. Minsk will reciprocate by granting China equity stakes and joint ventures in strategic sectors, such as machinery and power generation. This follows $15 bn in loans issued by Chinese banks to Belarus over the past two years. These developments are emblematic of China’s global expansion. With foreign exchange reserves at half of GDP, China is looking to reinvest surplus capital overseas. Since 2009, it has poured more money into developing economies than the World Bank. In the process, Beijing is expanding diplomatic influence, securing resources and markets, and promoting the globalization of state-owned firms. Like other low-income countries, Belarus is eager to obtain Chinese capital and technology on preferential terms. But Belarus is unique in several respects. China is entering just as the Belarusian economy faces severe challenges. China sympathizes with a post-socialist country ruled by a strong state. If China, as opposed to Russia or the EU, becomes Belarus’s major investor, this could have major implications for the country’s future. Belarus may also become a geostrategic node for China in Eastern Europe. This could trump the EU’s efforts to isolate Belarus, as well as challenge Russia’s attempts to control its smaller neighbor. Historically, Belarus has not been a popular place to invest. In 2000-10, the average share of FDI to GDP was below the level for post-Soviet states, even though Belarus’s economy is very small. In the industrial sector, firms with foreign investment account for less than a tenth of total output and employment. China thus appears to be venturing into an investment backwater. But conditions for foreign investors in Belarus are a lot better today than ten years ago. FDI inflows increased markedly in 2007, from less than one percent to four percent of GDP. Unlike exports, which plummeted after the crisis in 2009, FDI inflows have remained high. FDI growth is likely to continue with or without the Chinese. Belarus is an extremely open economy, with trade volume at 101 percent of GDP in 2010. Theory and empirics dictate that foreign investment follows trade. More importantly, the government, in spite of excessive interference in the economy, has implemented measures to attract investment. In an April 2008 speech to the National Assembly, President Lukashenka announced the target of making Belarus one of the 30 countries with the best business climate. This is echoed in a report by the cabinet’s Foreign Investment Consultative Council, which also aims to increase FDI to one fifth of GDP in the next decade. Even if Belarus does not meet these targets, its investor environment has certainly improved. Last year, it ranked 68th among 183 countries on the World Bank’s “Ease of Doing Business” survey, ahead of China and Russia. On several indicators, such as the time it takes to start a business and the cost of registering property and enforcing contracts, Belarus does better than average for post-Soviet states. It has also been one of the region’s most prolific signatories of bilateral investment treaties (BITs); the bulk of these have been with countries outside the region. Nonetheless, investor-friendly policies are not useful without economic stability. Judging by Belarus's recent performance, Chinese investors will face considerable risks. The Belarusian ruble, on a crawling peg with a basket of currencies, has not withstood severe inflationary pressures. The first major devaluation came in January 2009, followed by several more this year. Due to excessive borrowing and plummeting exports, Minsk can no longer service its current account deficit. One could argue that the upside of a poor country fraught with debt, inflation, and currency risk is its growth potential – GDP did expand at eight percent per year in 2000-08. But in light of the current crisis, the IMF forecasts just four percent annual growth for 2011-16. In the meantime, the structural reforms necessary to improve the economy – such as more flexible labor markets, a smaller public sector, and less welfare spending – will take time. The Chinese don’t seem too concerned though. During his visit, Wu Bangguo sought to shore up investor confidence by blaming Belarus’s misfortunes on Western sanctions and the global economy. His statement was politically motivated. Even when the global economy recovers, Belarus’s exports are unlikely to return to previous levels, because they are losing their principal advantage: subsidized oil and gas inputs from Russia. Economic recovery may be less relevant for Chinese companies in Belarus. Because most are owned by the state, they face less pressure to make quick profits and can turn to state-owned banks for refinancing. As latecomers, the Chinese often leverage risk propensity to explore opportunities in markets that Western investors avoid. The question is: what opportunities does Belarus, a small country without natural resources, really offer? From China’s perspective, there are plenty. Currently, the bulk of FDI is flowing into trade and services rather than manufacturing and infrastructure. As a result, FDI has countributed little to fixed capital formation. So Belarus is lacking FDI precisely in those areas where Chinese companies are strongest. Much has been made of China’s bid to acquire state assets. But the Chinese are equally keen on forging new industries. During Wu Bangguo’s visit, Prime Minister Myasnikovich expressed interest in establishing an industrial park for Chinese firms, referring to the success of Singapore’s industrial parks in China. He might have mentioned that the Chinese now have ample experience with independent economic zones in developing countries, such as Pakistan and Zambia. Implicit in Myasnikovich’s comment was also disappointment in Belarus’s own Free Economic Zones (FEZs) – established in the 1990s, they have failed to attract notable investments. In sum, Chinese firms see opportunities and downgrade risks. Chinese investment is likely to increase in the medium term, through good times and bad. 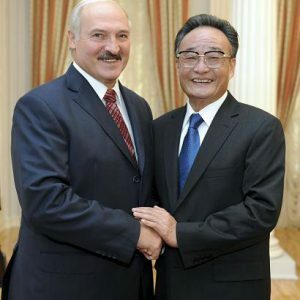 Whether and how Chinese investors will benefit Belarus, however, is another matter.